Other similar events (100 miles plus) might be acceptable – please email for confirmation. Also unsupported runners will have a longer list of compulsory items to carry. The necessity of taking such precautions is testimony to the challenging nature of this event. 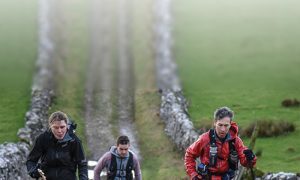 The Hardmoors 110 Ultamarathon follows the dramatic Cleveland Way National Trail encircling the North Yorkshire Moors and the Cleveland Heritage coastline. Starting from Helmsley, it finishes at Filey after 110 miles and 6,000 metres of cumulated elevation gain. There are 14 checkpoints and 60 hours in which to complete the race and each stage has a cutoff time. 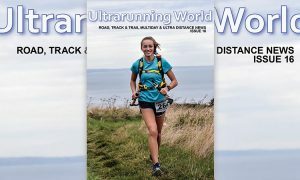 This year Sharon Gayter, the UK’s leading female ultrarunner, will be running. Sharon has just returned from Holland where she won the Texel 120 km womens race in 12:24:03. Last years second place finisher Neil Ridsdale also returns. 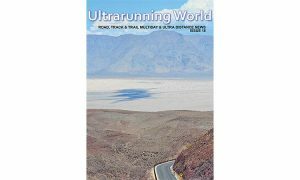 The event takes place June 3rd 2011 and 32 runners are signed up for one of the longest annual races on the UK ultrarunning calendar.